The Intergovernmental Oceanographic Commission (IOC) of UNESCO was established in 1960 as a specialized mechanism of the United Nations system to coordinate ocean scientific research and services worldwide. The purpose of the Commission is to promote international cooperation and to coordinate programme in research, services, and capacity building in order to learn more about the nature and resources of the ocean and coastal areas and to apply that knowledge for the improvement of management, sustainable development, the protection of the marine environment, and the decision making processes of its Member States. 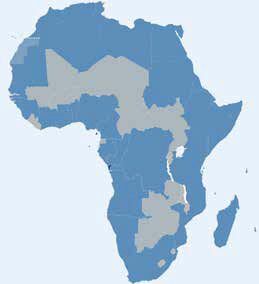 The IOC’s Sub Commission for Africa and Adjacent Island States (IOCAFRICA) was established in 2011 as a framework to improve IOC visibility to facilitate coordination among Member States in the region, and to ensure the efficient implementation of IOC programmes in Africa. The Vision of the IOCAFRICA is: to be the voice of Africa on matters related to ocean science and the science base for ocean management, providing a unique Africa-wide platform, bringing together Member States, UN agencies and other stakeholders, to drive research, observations, and disaster preparedness and mitigation for the sustainable management of the African oceans and coastal areas. The Mission of IOCAFRICA is to promote regional and international cooperation for the understanding and management of the African oceans and coastal ecosystems, in order to ensure sustainable development and safety of the coastal populations, taking into account the priorities of Member States from Africa. The IOCAFRICA promotes scientific research and understanding of the ocean and coastal environment and resources, and provide the science-base necessary for the development of the Blue Economy in Africa as outlined in the African Union’s Agenda 2063 (“The Africa We want”), and the 2050 African Integrated Marine Strategic Plan of Action (AIMS2050). Copyright © 2019 IOC Sub Commission for Africa and the Adjacent Island States. All Rights Reserved.